"The deficit increased from $54.6 billion in September (revised) to $55.5 billion in October, as exports decreased and imports increased”, the release said. During the same period, US exports fell to $211 billion, while imports increased to $266.5 billion, the release added. The trade deficit with the European Union increased by $0.9 billion to $15.1 billion, while the deficit with China rose by $0.7 billion to $38.2 billion, and the deficit with Mexico fell by $1.2 billion to $6.4 billion, the release said. 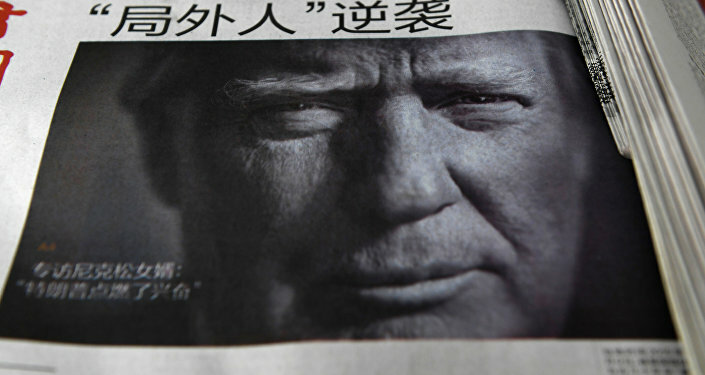 US President Donald Trump has made the goal of reducing the US trade deficit, particularly the gap with China, a central part of his economic policy. The US president stated that Washington had only two options in its trade dispute with Beijing — either to conclude a trade agreement with China or to impose considerable tariffs on Chinese imports — and expressed hope that such a deal would eventually be agreed on. Earlier the same day, Chinese Commerce Ministry stated that Chinese and US officials will start their trade negotiations from discussing matters related to agricultural and energy sectors, as well as the automotive industry. The statements come in the wake of a working dinner on December 1 between Chinese President Xi Jinping and Trump on the sidelines of the G20 summit in Buenos Aires. During the meeting, Trump agreed to postpone increasing the tariff on $200 billion in Chinese imports to 25 percent, initially planned to go into effect on January 1. China, in turn, has agreed to purchase a "substantial amount" of US agricultural, energy, and industrial products, among others, to reduce the trade imbalance between the two countries, according to the White House. China and the United States have been engaged in a trade war that was triggered when Trump announced in June that $50 billion worth of Chinese goods would be subject to 25 percent tariffs in a bid to fix the US-Chinese trade deficit. Since then, the two countries have exchanged several rounds of trade duties against each other.